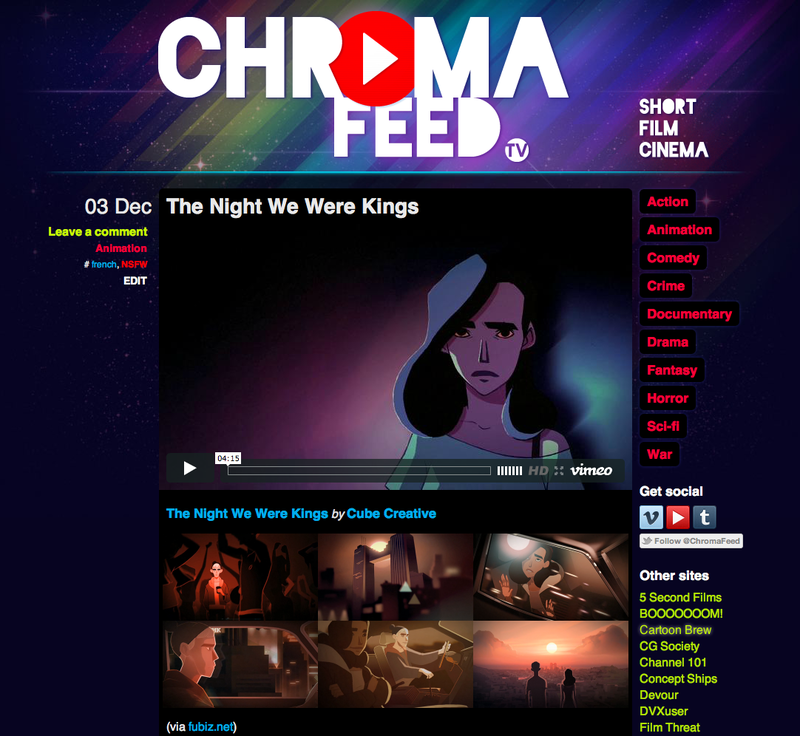 ChromaFeed.tv was a WordPress blog I designed and curated, featuring cool short films I discovered online. It ran for almost a year (24 May 2011 – 15 March 2012) before I decided to retire it. The blog theme was bold and colourful, designed to evoke a retro cinema vibe while prominently featuring the videos. The navigation design was also very important, allowing viewers to explore by top-level category or the more esoteric tags. As well as enabling discovery, the prominent navigation made it easy to see at a glance what the site was about. You can watch the short films I posted on Chroma Feed on Halfblog.net by browsing the ‘Chroma Feed’ tag. This entry was posted in WordPress and tagged design, WordPress.org by Geoff. Bookmark the permalink.